United Nations, June 26 (IANS) Nikki Haley, the first American of Indian descent to hold a cabinet-level position in the US, begins a three-day visit to India on Tuesday to advance relations between the two countries, according to the US Mission to the UN. Haley, who is the Permanent Representative to the UN with cabinet rank, is to meet senior Indian government officials and NGO and interfaith leaders to “underscore the US’ shared values and strong alliance with the people of India”, the mission said. She is also scheduled to speak to a group of business and government leaders, and representatives of students and civil society on “advancing the US-India relations, according to the mission. The Trump Administration seeks to scale up relations with India with a view to making it an anchor of its emerging Indo-Pacific strategy as well as helping stabilise Afghanistan through its aid programme. 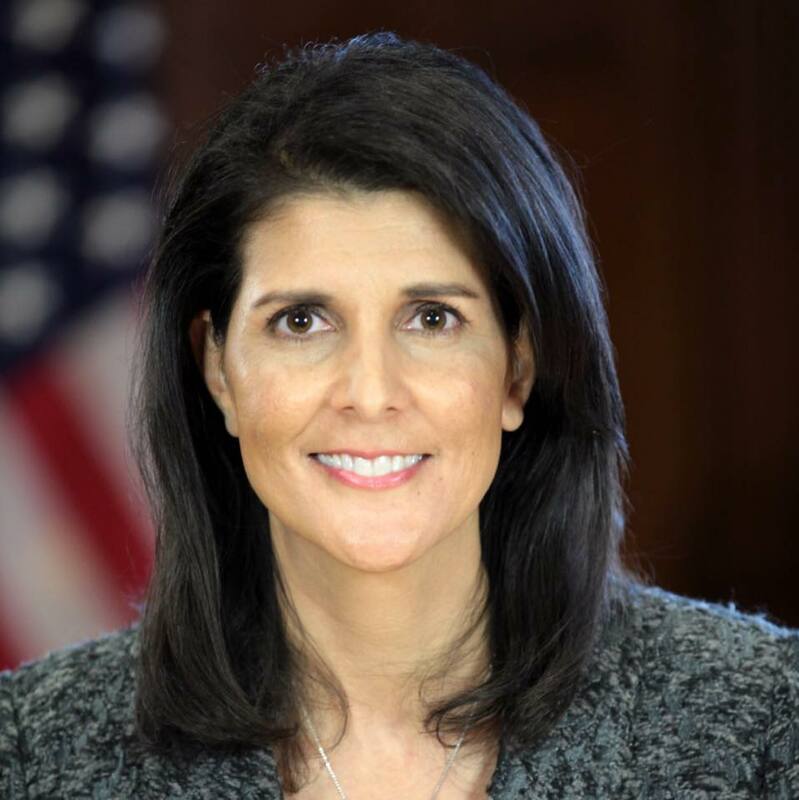 Haley, whose parents Ajit Singh Randhwa and Raj Kaur Randhwa immigrated from Amritsar District, last visited India in 2013 when she was the governor of South Carolina. Haley’s visit comes ahead of the 2+2 Dialogue of External Affairs Minister Sushma Swaraj and Defence Minister Nirmala Sitharaman with Secretary of State Mike Pompeo and Defence Secretary James Mattis in Washington on July 6. Haley has emerged as a high-profile official of President Donald Trump’s administration laying down his hardline policy at the UN. Last week she announced the US was withdrawing from the UN Human Rights Council (HRC) and has been leading the charge against Iran, Russia and Syria, while demanding that the UN reform and economise. She also paved the way for Trump’s North Korean diplomatic initiative that led to the his summit with Kim Jong-un by increasing international pressure on Pyongyang, especially getting China to join the tough sanctions. A rising star of the Republican Party, Haley has chartered her own course, at times crtiticising Trump. While that has increased her political viability with some seeing her as a potential presidential candidate, she has also been the victim of personal hatred from some Democrats — including Indians — for being a Republican, even though she broke the gender and colour barriers when she was elected governor of South Carolina in 2010. She has been the victim of virulent rumour-mongering by adversaries attacking her personally. India has moved away from the hostile third world positions that pitched it against the US in the UN and work together in areas like countering terrorism, but differences have opened up in many areas. New Delhi and Washington are far apart on approaches to Iran, with Trump cancelling the nuclear deal with Tehran and threatening stronger sanctions and India preferring close economic ties and building a bridge to Afghanistan through Iran. India will also not commit to a front against Russia and Syria, or totally back the US policy on Israel, which has seen Washington isolated at the UN. While India will not take the extreme step of breaking with the HRC, where unlike the US it is not a current member, it shares Washington’s scepticism of the UN human rights apparatus.